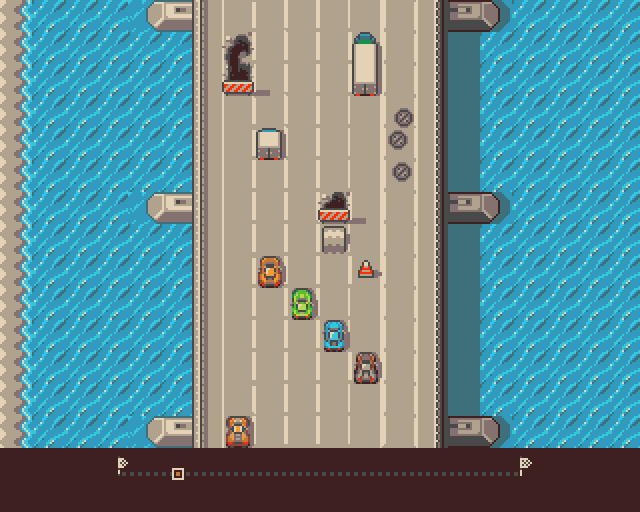 Our new project, simple multi 1-4-players racer with comic gfx. Mostly is an christmas present for all amiga owners, hope they enjoyed it. Ill try to put my future work for its gfx. 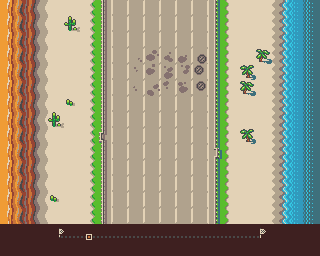 Please if You would be able, write some coments about it or gfx fixes. 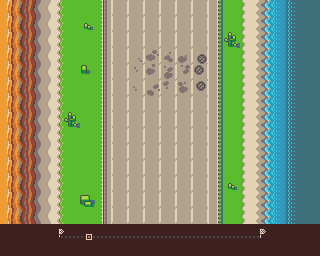 Today i have drawn some pixels for hills background. Mostly of idea was to use the same 16 colours (yup hardware limitation). 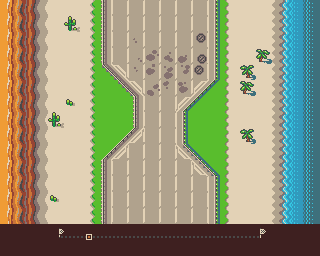 Gfx of road should stays the same, but outside gfx uses several pieces 16x15pixels high. Love the visual style on this! looks fun!